Would you like to know a big mental game changer? This means whatever you see on a daily basis is feedback about what’s working and what isn’t. How awesome is that? This insight comes from NLP (Neuro Linguistic Programing) and it is just such an incredible way to reframe the world failure. Reframing means that you put a word, situation or person in a “new frame”. It means shining a different light on it, or looking at it from a different perspective. In the manufacturing industry the words “fail” and “failure” are overused. What emotional impact does the word “failure” have? Who wants to feel like a failure? Doesn’t failure mean that we have stopped trying? If people are afraid to fail, how can they be creative and innovative? Looking for feedback is awesome. Talking about failure not so much. If you don’t get the expected results, change your approach or the way you look at things. Resistance from a person or from a team means that there is not enough human connection (lack of rapport). Make the time to find out what’s missing to get to the next level or you will have to do it over and over again. In other words: If you don’t pass the test, you will repeat the lesson. It’s as simple as that. 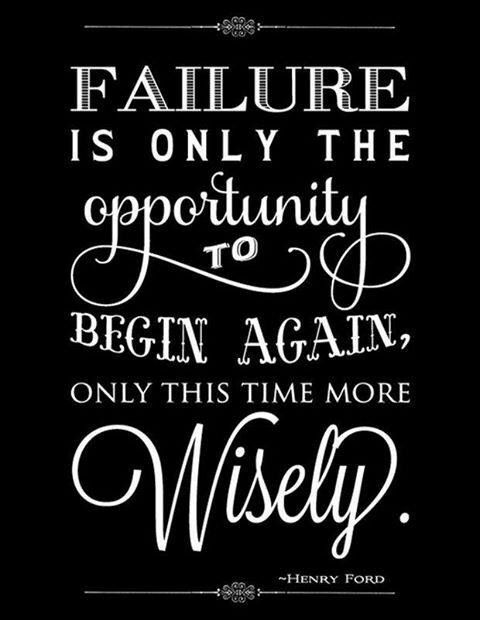 There is no Failure. There is only Feedback.